The nation's favourite fried breakfast is given a day of its own as The Great British Fry Up is back for National Fry Up Day on Sunday 4th November. Hosted by MEATliquor KX, Masterchef runner up Steve Kielty will be cooking what promises to be the best Full English you've ever tasted. 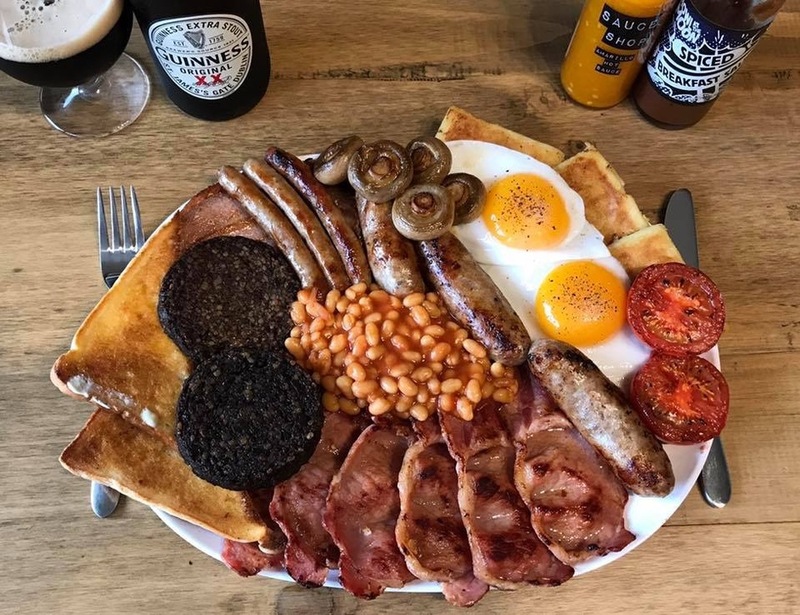 He will be joined by two of the most famous fry up chefs in the country, David Rowland and Ben Smith, whose works of fried art can be found over at the @fryuppolice on Instagram. The menu puts produce from leading independent suppliers to good use, including Powters Sausages, Fresh Blood Black Pudding courtesy of the Fruit Pig Company and eggs supplied by Cacklebean from the Cotswolds. Don't worry if you don't eat meat, a full vegetarian option is available, because no-one should miss out on a proper fry up. What are the best dining options near The Great British Fry Up London? The Great British Fry Up gyms, sporting activities, health & beauty and fitness. The best pubs near London The Great British Fry Up. The Great British Fry Up clubs, bars, cabaret nights, casinos and interesting nightlife. Where to have your meeting, conference, exhibition, private dining or training course near The Great British Fry Up. From cheap budget places to stay to luxury 5 star suites see our deals for MEATliquor KX hotels, including Crowne Plaza Kings Cross from 86% off.